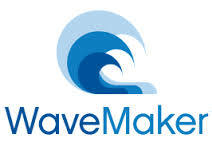 WaveMaker is a rapid application development browser-based environment for building, maintaining and modernizing cloud and mobile applications. WaveMaker enhances productivity of application development and enables business users with little technical knowledge to build professional, scalable business applications. Rapid Cloud & Mobile Application Development including database and other complex enterprise applications. Ease of application development to facilitate even non professional programmers. Strong community of more than 35k member with lots of experts available to help you.